Augmented World Expo (AWE), the world’s largest event featuring augmented and virtual reality, wearables and IoT is just around the corner. As you know UploadVR has joined forces with AWE to make it even more AWEsome this year and we are truly excited. To get us pumped for next week, we’ve made a list of the top five things we can’t wait to check out at AWE from an augmented reality perspective. AWE features over a dozen pairs of smart glasses on stage and in the expo floor including pairs from ODG, eMagin, Epson Moverio BT-200, Vuzix, Optinvent, Atheer, DAQRI, Seebright and more. We will be on the ground trying every headset we can get our hands on – so stay tuned for that. Who better to teach a workshop on 3D user interface for augmented reality than Steve Mann, the father of wearable computing, and Steven Feiner, the father of augmented reality. Their workshop “Phenomenal Augmented Reality -Physical phenomena form the fundamental basis for gesture-based 3D AR” is sure to be a once in a lifetime experience. 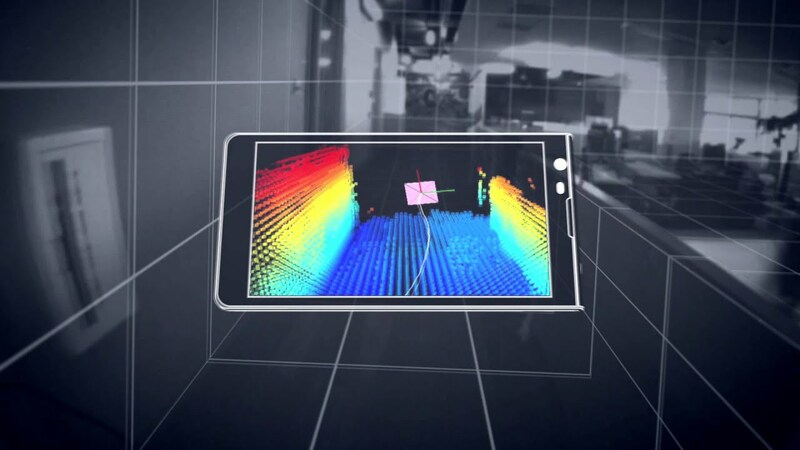 Google’s Project Tango was a highlight at Google I/O last week. The project whose goal is to give mobile devices “ a human-scale understanding of space and motion” will be set up in the Enterprise and Industrial Pavilion. We can’t wait to see it in action again and hear Project Tango lead, Johnny Lee, speak as one of the headliners. The use of augmented reality in the car has been a topic of conversation of late. Qualcomm recently unveiled its BMW Mini smart glasses which took the driving experience to a new level, and HUD-like windshields are being seen as a new standard in the future of driving. Day 2 of AWE sees a series of micro-talks from some of the leaders in the automotive space including Jaquar-Landrover, Volkswagen, and Honda as they talk about the use of AR both in the car and on the showroom floor. Every year, AWE gives out the Auggies, recognition of achieving the best-of-the-best in augmented reality. This year the award program saw over 100 nominations across ten categories including Best Smart glasses and Best Sci-Fi to Reality. AWE takes place in the heart of Silicon Valley on June 8-10, 2015. To help UploadVR readers get to AWE, we are offering a promo code: UPLOADVR-WEB. Grab your tickets and learn more at awe2015.com.